Cuban All Stars Pack – just $99 for 10 cigars! This week I decided to go with a cigar I haven’t smoked for about 4 years. For some reason the Rocky Patel Sungrown Robusto really caught my eye in the shop the other day, so I decided to pick a few up. 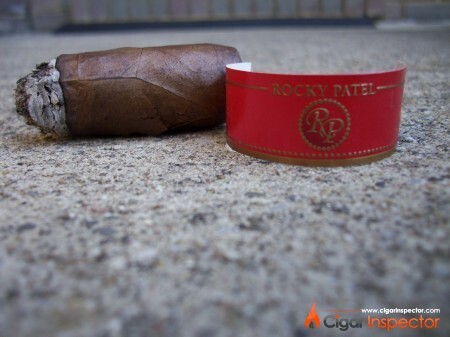 Rocky Patel has truly made his mark in the cigar world. Through hard work and hours of travel/promotion his name is one of the most sought after in the premium cigar market. With over 30 different blends to his name, Rocky Patel hits the cigar industry at every level for all aficionados. Everything from a $4.00 Nicarao to his $12.00 RP Decade there are possibilities for all budgets and palates. The pre-light experience for the Rocky Patel Sungrown was better than fair. The cigar portrayed a toothy, oily sheen with a few bruise spots showing on the wrapper leaf. There was a rip in the leaf near the top of the cigar resulting in some sloppiness of the cap. I could not detect any soft spots throughout the body of the cigar and the band was a very elegant dark red with gold trim/lettering. The pre-light smell was an earthy peppiness. The cold draw was very loose and airy with no true definition or taste. The smoking experience for the Rocky Patel Sungrown was mediocre to say the least. The smallest little draw produced loads of thin dark smoke. The cigar had an uneven burn the entire time that held to a dark, powdery gray ash. The aroma or rich tobacco was pleasant in the first third however the taste of grass and burnt charcoal showed throughout the stick. The ash was so soft I had trouble getting a picture due to the brittleness. The second and third parts of my Rocky Patel Sungrown were similar to the first third in keeping an uneven burn and soft ash. 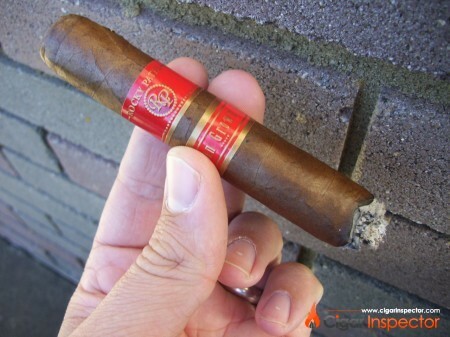 The draw was very airy and the cigar itself seemed to lack depth in its smoking characteristics. Some of the problems lead me to believe this cigar was rolled a little too loose, especially with the airy draws and soft ash. The Rocky Patel Sungrown also burned at a faster than liking rate, taking me under an hour to smoke. Typically, I can make a good robusto last anywhere from 75 to 90 minutes, however the Rocky Patel Sungrown only gave me a 47 minutes smoking experience. The finish was empty with a dry harshness on the palate. On the plus side the aroma was certainly refreshing the entire smoke. This would most certainly be a good cigar for the beginning smoker in the sense of strength and patience however did not meet my needs like I remembered 4 years ago. This post was written by Kaleehb. For more of his articles and his scoring guide, click here. Subscribe to get the latest information, promotions and sale coupons from Cigar Inspector.